Sleep apnea is the repeated pausing of your breathing while you slumber. 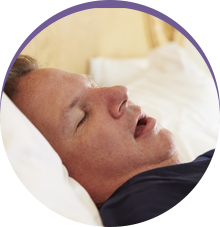 The most common type – Obstructive Sleep Apnea (OSA) – is the result of the muscles in the throat collapsing while you sleep, thus partially blocking the airway. As an internal safety mechanism, your brain alerts you to awaken repeatedly throughout the night to prevent a prolonged stoppage of breathing. The continuous positive airway pressure (CPAP) machine is commonly used to treat sleep apnea. It consists of a mask that the patient wears, which is connected to a machine via a tube that forces air into the throat during the sleep cycle. For many patients, this is not the option of choice because the mask is uncomfortable, and the noise of the machine interrupts their sleep. 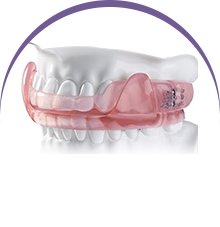 One of the alternatives to the CPAP machine is an oral appliance custom-designed by your dentist. It helps to keep your airway open while you sleep without making any noise that will disturb you. Patients also enjoy the fact that the device is portable and easy to pack for trips and other events away from home. For some people, their struggles with sleep apnea are impacted by excessive weight gain. A change in eating habits and the incorporation of a new workout regimen can help to reduce their weight and alleviate the neck mass that causes their throat muscles to collapse. 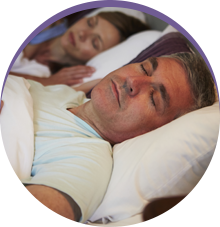 In some instances, the position that a person sleeps in can contribute to sleep apnea. 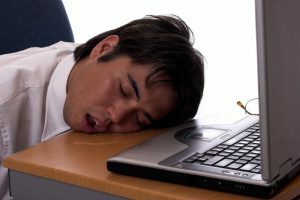 For example, lying supine (on the back) can cause more snoring in Plano and contribute to sleep issues. By changing positions and sleeping on the side, some people are able to see improvements. While lying in bed, do some reading. Power off all electronic devices before retiring for bed. Stop eating at least two hours before bed to allow your body to relax. If you’ve been suffering from any of the symptoms listed above, then don’t hesitate to reach out to your local dental sleep specialist to schedule a consultation. By being proactive, you can soon get back to receiving the quality rest you need. Dr. Keane Fedosky earned his dental degree from Baylor College of Dentistry, and for over two decades he’s been helping the Rowlett community sleep better. A member of the American Academy of Dental Sleep Medicine, he has extensive knowledge and experience in oral appliances and with providing treatment for Sleep Apnea and Snoring. Dr. Fedosky practices at Sleep Rehab, and he can be reached for more information through his website.